If there’s one thing I want for Christmas time as we began to form family traditions is intentionally make sure our kiddos know that Christmas is about celebrating the birth of Jesus Christ, and because we are celebrating His birth we want to make Christmas a time about giving to others (whether that be materially, or of our time and attention), because Jesus gave us the greatest gift of all time when He died on the cross for our sins and then rose again from the grave, conquering death and sin once and for all for anyone that calls on the name of Jesus to be saved…. (Romans 8:28)…that’s right friends…you just went to church! 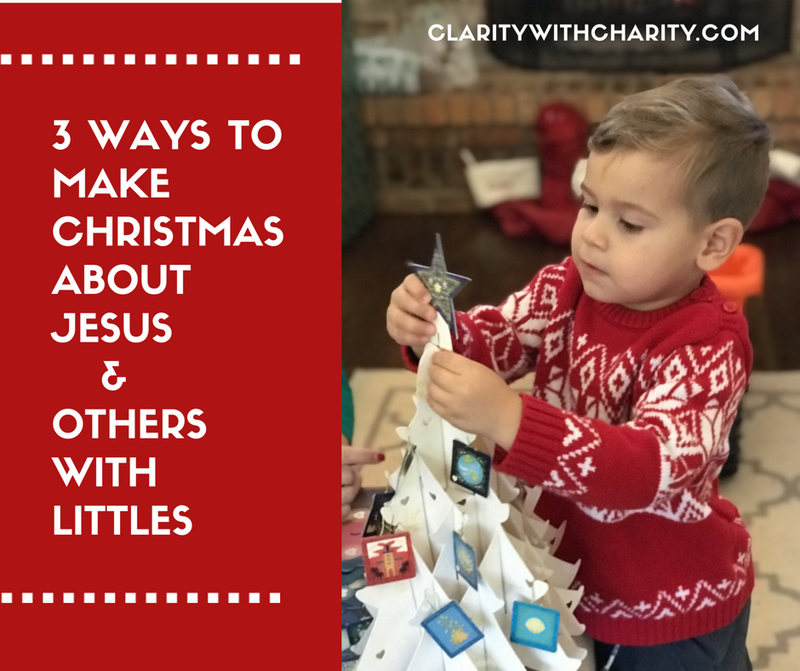 So now that we’ve been to church here are 3 simple ways to make Christmas about Jesus and Others. And speaking of giving to others, I made y’all some printables to make your life easier this season…so maybe you can sneak in another showing of “Elf”…..so make sure you keep scrolling for those! Every year I take the kids to fill a Christmas shoe box. This shoe box is filled with hygeine products, toys, clothes and art supplies for a kid somewhere in the world in need. If you register your box online you can also follow your box and see what country it ends up in! This is an incredible way to involve your kids in the giving process and give them a bigger perspective than the American first world bubble. I really like that this organization also has a discipleship program that focuses on sharing about Jesus and teaching kids how to follow Him. THIS IS COLLECTION WEEK…so grab your kiddos and head to the store…they will have a blast picking out some things for another kiddo. You can find all the details HERE about the CHRISTMAS SHOE BOX. And if you are too late for the Christmas Shoe Boxes this year, they have an awesome “gift catalog” of gifts that empower people around the world. 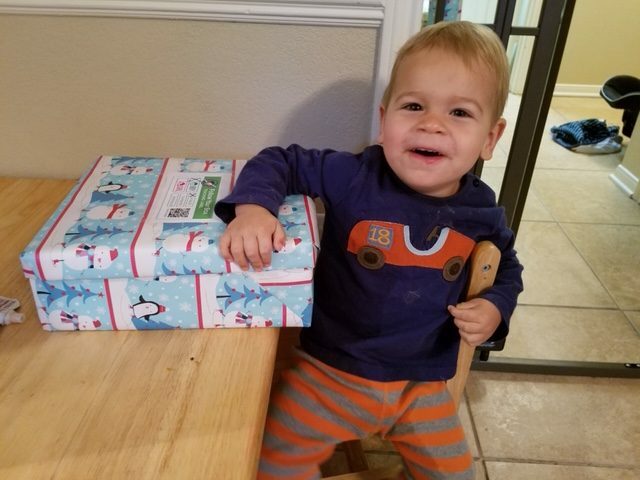 Ok, funny story, I was telling C that we were getting ready to celebrate Advent and he said, “who’s Advent, is she mean?”…..baaahhhaaaa…I love life with toddlers….they are just so cute at this age! 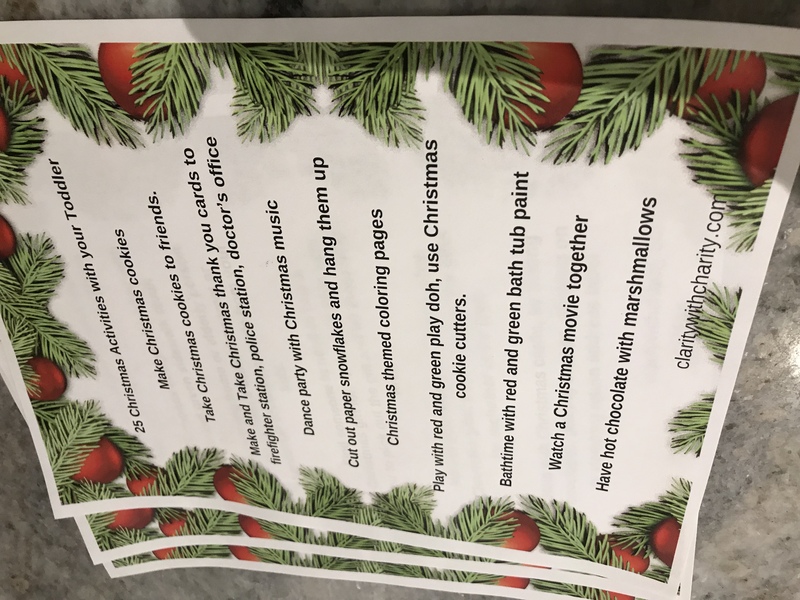 Last year I looked into a lot of different options for celebrating Advent with my kids. 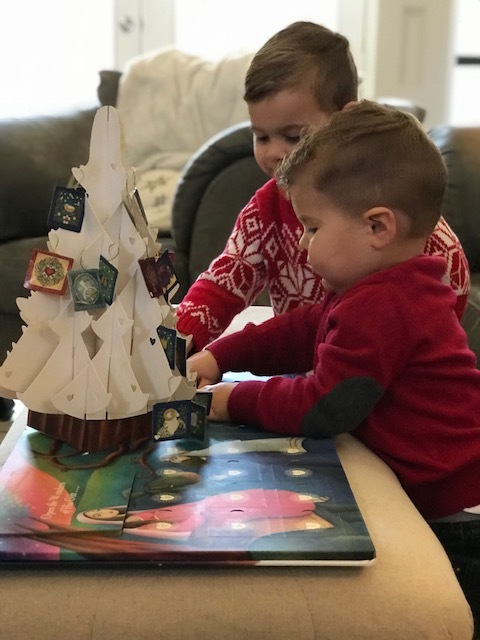 We really loved using this Advent Book for Kids which included a Bible story book with a story to read every day and the Jesse tree and the ornaments that went with it everyday. I liked that this came with everything we needed which kept it simple and required zero planning on my part. A simple way to celebrate the season of Christmas is to be intentional in making time for people. 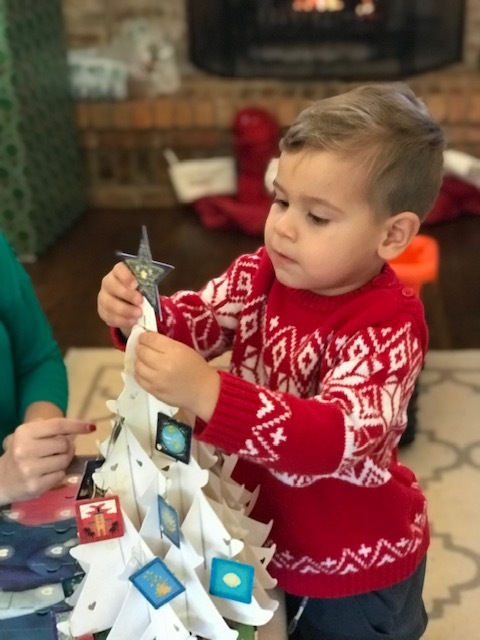 Because the reason Jesus came was so that we could have a personal relationship with God, I want to focus on cultivating memories and traditions with my kids that are low cost and involve little prep time so that we can maximize our time to be together! And because let’s be honest, if I don’t have time to wash my hair, I don’t have time to prep elaborate Christmas crafts…. and all the Mamas said Amen sista!!!! 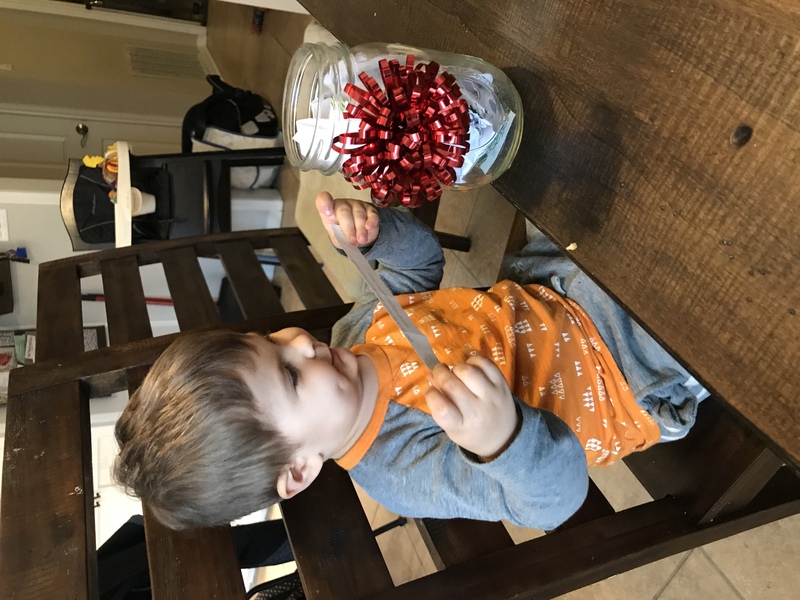 A fun way I am doing this, this year is filling a jar with different activities that are simple and allow us to enjoy time together. 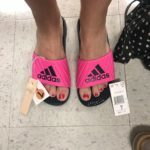 Most of these ideas you will probably already have what you need or you may only need to buy a few cheap items to prepare. 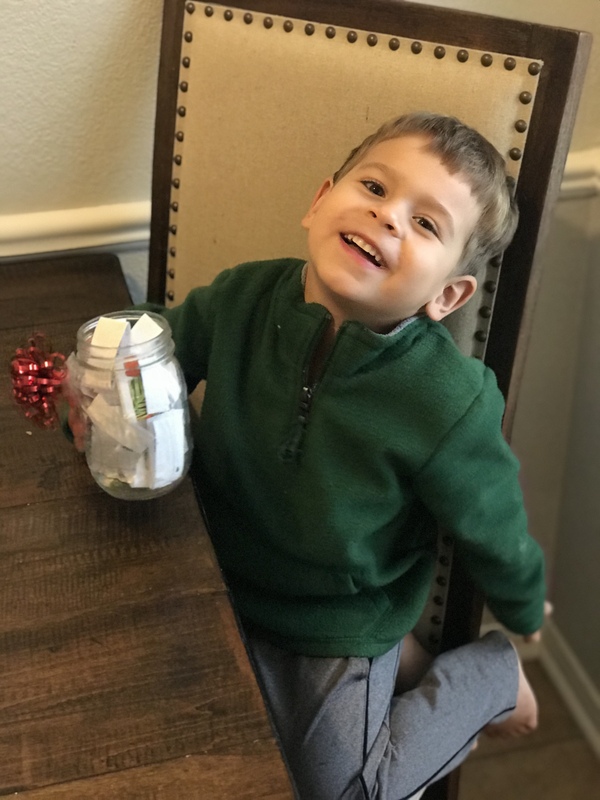 Then on whatever days I choose during the advent season I am going to have my kids choose a special Christmas activity from the jar. 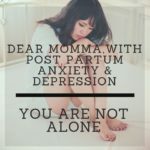 I made 2 FREE PRINTABLES to keep it simple for ya, Mama! 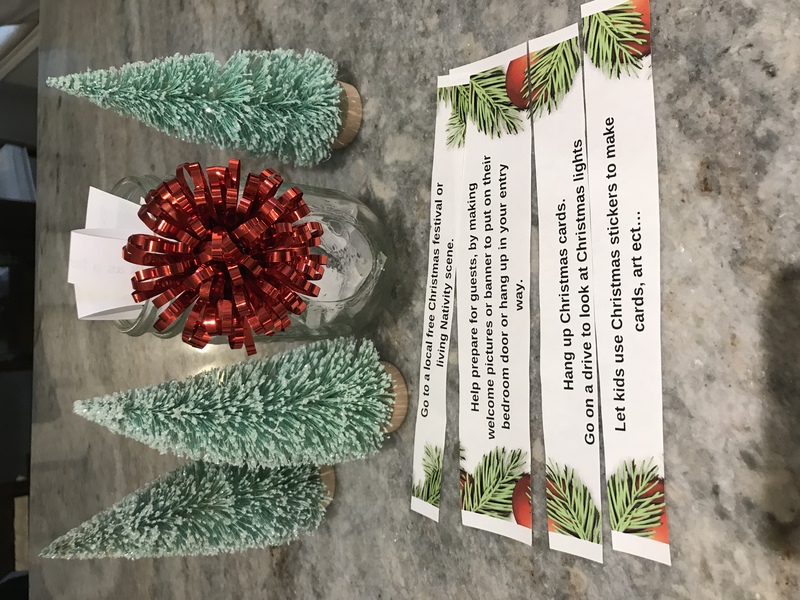 The short version has all the ideas on 1 sheet you can keep it handy for inspiration when the cabin fever crazies hit and there is a longer version so you can cut up the activities into strips and place into a jar or box ect….for kids to choose a Christmas activity from. Here’s a peek at the 2 FREE PRINTABLES I am offering you today. Print Short Version Printable Here. Print Long Version Printable Here. Can I ask you a favor? 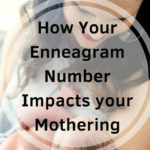 If you enjoy these free printables and this post would you consider sharing this post with a friend and following along for more freebies, encouragement and inspiration on Instagram, Pinterest or Facebook. 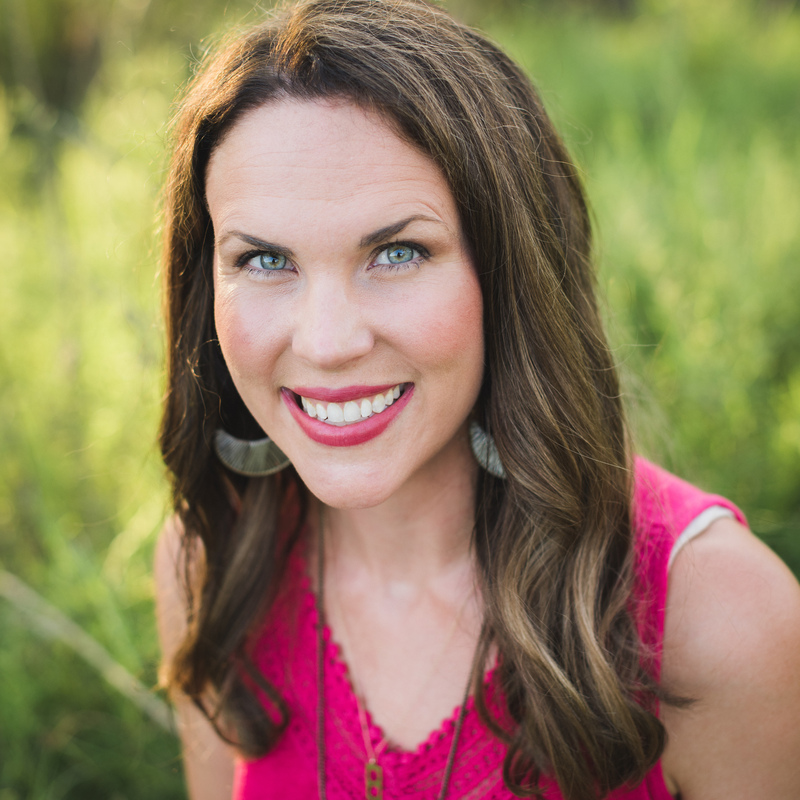 I would love to have you as a part of our community! I like that you can use these Nativity cookie cutters as an interactive and fun way to share the true reason why we celebrate Christmas with your kiddos! 2. Take Christmas cookies to friends. 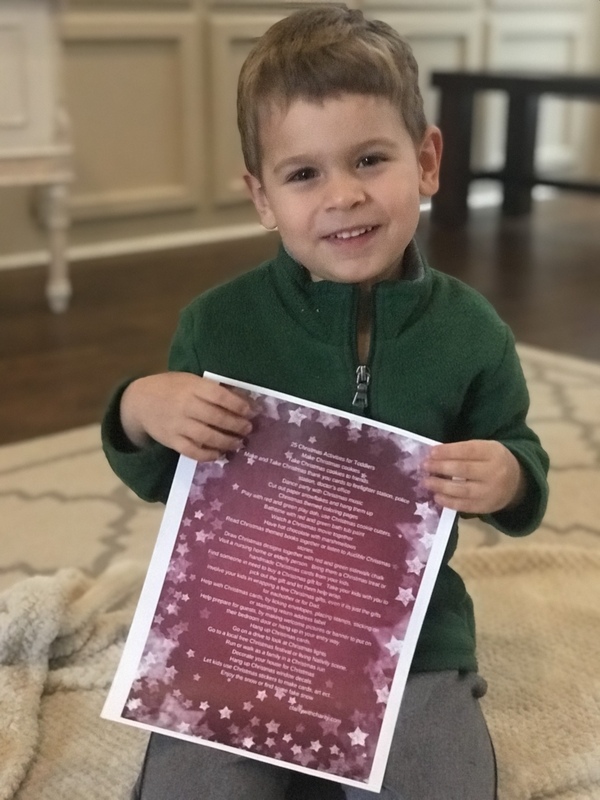 This Bethel Kids Christmas Playlist is worshipful and totally Dance Worthy! Here are two Christmas coloring books I liked because they are about the birth of Jesus The Nativity Activity and Coloring book or a Nativity sticker book. Follow me on Pinterest where you can see my Christmas for Toddlers ideas board for lots of free coloring Christmas printables I have pinned. 7. Play with red and green play doh, use Christmas cookie cutters. You can find play doh here and some Nativity Christmas cookie cutters here. I always find mine in the dollar section of Target. 11. Read Christmas themed books together or listen to Audible Christmas stories. 13. Visit a nursing home or elderly person. Bring them a Christmas treat or handmade Christmas cards from your kids. 14. Find someone in need to buy a Christmas gift for. Take your kids with you to pick out the gift and let them help wrap. 15. Involve your kids in wrapping a few Christmas gifts, even if its just the gifts for eachother. 17. Help prepare for guests, by making welcome pictures or banner to put on their bedroom door or hang up in your entry way. 18. Hang up Christmas cards. 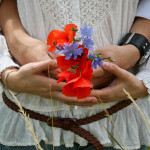 A simple way to do this is with some twine and clothes pins! I got some Christmas clothes pins a few years ago like these and its a simple way to add a festive touch and also my kids love getting to hang up the Christmas cards and they also enjoy the process of going to the mailbox and opening the cards! Last year my 3 year old asked me until March everytime when we went to the mailbox if we were going to get more Christmas cards. Poor buddy…what a let down to learn that most of the year you don’t get very fun mail. 20. Go to a local free Christmas festival or living Nativity scene. 23. Hang up Christmas window decals. 25. Enjoy the snow or find some fake snow to play in. Ask around, where there might be some fun fake snow for the kiddos. Where we live it rarely snows and our mall has an area where they drop fake snow at Christmas time. My kids always love running around in it. Free fun for everyone! Alrighty Mamas! 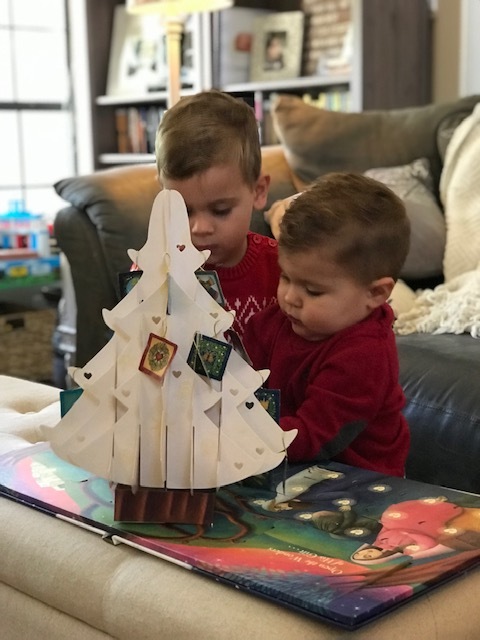 I hope this post gets those creative juices flowing and you have some practical resources to make this Christmas seasons all about Jesus and the joy He brings us as we give our lives away to others and our kiddos! What are some of your favorite ways to keep Christmas about Jesus and others? I would love to hear your ideas!